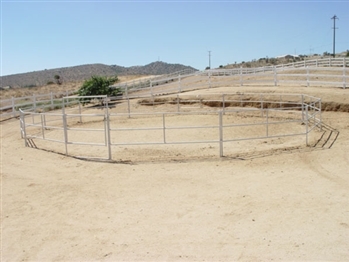 Our round pens and horse arenas are fabricated from 16GA galvanized steel tubing. These 5 foot high, 3-rail pens are assembled from a series of 12 foot panels and a 6 foot gate panel, making the units modularly expandable. Constructing your new training pen is easy with the included panel clamps.